This sectional sofa comes with many different configurations to accent your living room setting. 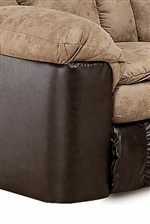 It has a casual style and a hidden recliner release for reclining sections. This sectional features a reclining sofa, reclining sofa with console and center wedge. Sink into the plush comfort of this motion sectional. 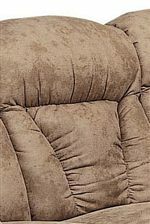 The Talon - Lane Reclining Sectional Group by Lane at AHFA in the area. Product availability may vary. Contact us for the most current availability on this product.